Check out the Bookfunnel 12 Days of Christmas eBook giveaway for dozens of FREE romances from top authors! Click here to view participating titles including THE FORGOTTEN CHILD. Offer ends 1/3/2019. Get a FREE AUDIOBOOK for a review! 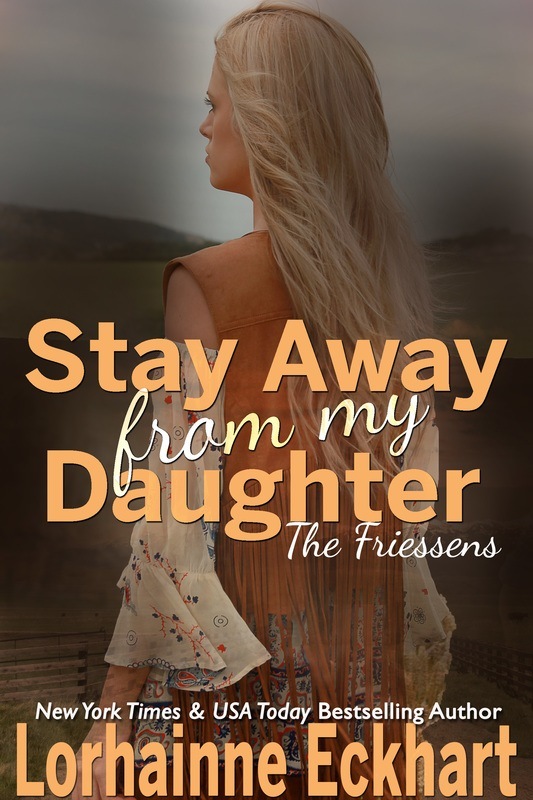 Email me at LorhainneEckhart.LE@gmail.com to receive a free Audible code for IN THE FAMILY (The Friessens, Book 10) in exchange for your honest online review. But hurry--just a handful of codes remain. Thanks for your support and happy listening! Rather purchase IN THE FAMILY? Available in eBook at Amazon, Nook, iBooks, Kobo and Google Play, and in audiobook at Amazon US, Amazon UK, Amazon France and Amazon Germany. Listen to a sample here. ​This week I'm giving away an eBook copy of THE REUNION (The Friessens, Book 1) to five lucky winners! To enter, simply leave a comment below. Winners drawn 11/26/18. Good luck and happy reading! ​​Rather purchase this title? Available at Amazon, Nook, iBooks, Kobo, Google Play and Smashwords, or in audiobook at Audible US, Audible UK, Audible France and Audible Germany. Listen to a sample here. I enjoy reading your books.hope i get this one. Looks So touching. Wouldnlove the chance to read it. I am reading The Forgotten Child and love it! Would love to read another of your books!!??? Would love to win this book, one I haven’t read yet. Fingers crossed! Would love to read this entire series. Love the freebies and deals! Thanks! I love this series and would love to have this book. I appreciate all the time and effort that goes into your writing. Thank you. Love this series!!!! Thanks for the chance!!! I haven’t read a book that you have written that I haven’t enjoyed. Thanks for the chance to enter. how exciting, please enter me. thanks!! have a great weekend.